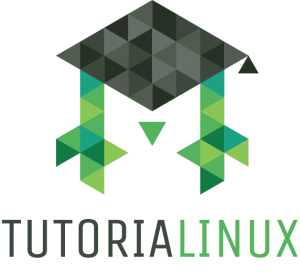 I’ve just released the first tutorialinux ebook. For those of you who want a sneak-peek, this post is basically a command-line-instructions only version of the practical content from the e-book. These instructions will get you a working configuration for serving HTTPS traffic to your website visitors. Disclaimer: This post leaves out most of the background, theory, explanations, security and performance tuning, and additional considerations like backups, security, etc. All of this extra content is found in the e-book. If you want to support tutorialinux, buying the e-book is a great way to ensure that there’s a constant stream of new content coming out on YouTube and this website. Okay, that being said, let’s get started! If you’re a sysadmin, chances are that you feel strongly about the adoption of widespread encryption. Advertising companies, governments, and criminals are trying to track and record every move you and your website visitors make, every interest you show, and every thought you hint at. People are finally beginning to fight back by encrypting web traffic, even for pages that don’t absolutely require it, such as login or payment pages. In this post, I’ll show you how. If you run a website, installing an SSL/TLS certificate is one of the most important ways that you, as an average tech person, can help make the web a safer place. This tutorial is a super-short, trimmed-down excerpt from the first tutorialinux e-book, Let’s Encrypt on Linux and FreeBSD with Nginx (A simple HTTPS-enabled NGINX Setup for Linux and FreeBSD servers, using a free Let’s Encrypt Certificate), which will be released this coming week. In this tutorial, we will configure an nginx server to serve HTTPS requests with a free SSL/TLS certificate signed by Let’s Encrypt. We will also set up a cron job that will automatically renew this certificate each month, so you can more or less forget about it once it’s configured. Update your nginx configuration to serve them. You can do this in your nginx config file, located at /etc/nginx/nginx.conf or /usr/local/etc/nginx/nginx.conf. Change the ‘root’ directive for your ‘server’ or your ‘location’ block to: root /var/www/yoursite. If following these types of instructions (editing your nginx config file, moving files around, reloading services) make you uncomfortable, you may want to wait before trying these instructions on a live website. If you are running a different Linux distribution, or a BSD Unix system, substitute your own package management syntax for ‘apt-get install’. Please bear in mind that there is more to securing your nginx configuration. This tutorial focuses exclusively on setting up Let’s Encrypt. It does not focus on securing nginx or your services. It also does not try to keep up to date with mitigations of recent attacks, such as POODLE and others. The e-book version of this tutorial contains instructions for Linux and FreeBSD, along with much more in-depth explanation of the topics covered and the actions we will take. That said; let’s get started! First, we’ll create a user whose only job will be managing our certificates and dealing with Let’s Encrypt. Then, we’ll configure the nginx webserver so that it can respond to ACME challenges from Let’s Encrypt (ACME is the protocol that is used for certificate management). Next, we’ll create our SSL certificate using a small python script provided by the Let’s Encrypt developers. Once that’s done, we can configure nginx to use that new SSL certificate. Finally, we’ll set up automatic certificate renewals, since the Let’s Encrypt certificate authority (CA) provides certificates which are only valid for one month (this makes your life slightly less hellish, should your SSL certificate be compromised and misused). server_name www.example.org; # Change this to your domain! root /var/www/path/to/your/website/files; # Change this to your website's path! If you’re using a systemd Linux distribution, the following commands will work. If you’re using another init, just follow instructions for enabling and starting services for that init system. The last thing we need to do as root is to give the letsencrypt user permission to reload nginx. This is so that when we renew the certificates later on, the new certificates can be loaded and used by the server. As the official documentation states, you should read the code. It is written in Python and at the time of this post, it’s only about 200 lines long. It shouldn’t be too hard to understand, even if you don’t have much prior programming experience. That advice doesn’t just apply to this specific script; it’s a habit that’s good to get into as a system administrator. A quick glance at the source code of software or scripts that you use doesn’t hurt and can often reveal a lot about a project. It is therefore something you should do regularly, especially for small things that you are planning on running as root. Never just copy and paste code or download code when you don’t have a general understanding of what that code will be doing on your system. # Generate the account key. It’s a 4096 bit RSA key. For the domain itself, we need to create a separate domain key and a certificate signing request (CSR). In our example we will call it example.org, but of course you need to use your own domain name. While you can freely choose the name of the actual file, you should use the correct Common Name (CN) to ensure that things work correctly. This directory is where our challenges — the content used to verify the ownership of the domain — will be stored. Time to obtain our certificate! First, we use our account key and the certificate signing request and store the files for the challenge in the challenges directory that nginx is now serving. Finally, we pipe our certificate (the output of the command) into a .crt file. But we’re not quite done yet — since Let’s Encrypt certificates don’t last for very long, they need to be renewed frequently. This should be automated, which is the reason why the ACME protocol was created in first place. We’ll create a simple shell script which will renew our certificate and restart nginx for us. We’ll set this up to run as a cron job. Replace example.org with your domain name, and /bin/systemctl with your non-systemd service management program, if applicable. For example, on an old Ubuntu LTS version using upstart, this would be /usr/bin/service. To actually activate HTTPS on nginx, become root again (either by typing Ctrl-d to get out of your letsencrypt shell, or by using ‘su – root’ or ‘sudo -i’). Open the nginx configuration file for writing (/etc/nginx/nginx.conf on Linux). These changes will allow your server to be used both via HTTPS and without. You can adapt the configuration file shown here to only allow HTTPS, setting up a redirect for clients asking for non-HTTPS URLs, but that is outside the scope of this tutorial. Congratulations! You’ve configured your first SSL-protected site. This has all kinds of great benefits, from protecting your visitors to boosting your Search Engine rankings. a ‘further research’ guide with ideas for making your setup better — backups, key management, hardening, etc. Oh, and you’ll help support the creation of more free content like this :-). Thanks again for wanting to make the Web a safer, more private place. Have fun! Hi Dave, thanks for yet another great tutorial. I’m running into some problems editing my nginx config files in regards to the .well-known/acme-challenge part of the website. However, it fails when I reload. just the location /.well-known part is what makes it fail. If I comment that out, reloading nginx is fine. Any troubleshooting tips? That alias part for the challenge is hanging me up for both nginx config and the the acme script.